Per meteorologist Betsy Kling, a blizzard warning has been issued for the Cleveland area. 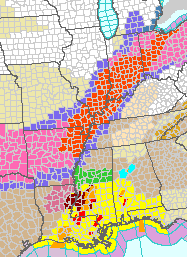 Orange = blizzard warnings. Red = tornado warnings. 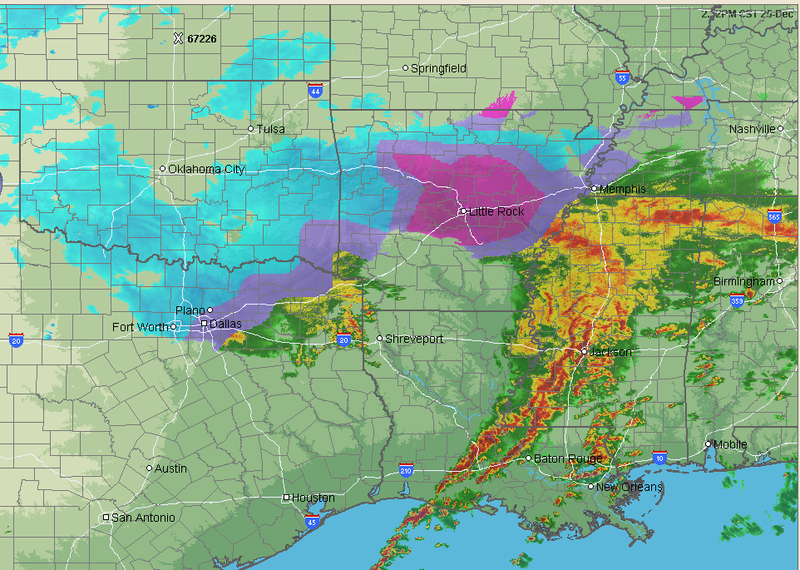 Here is the overview of the storm. 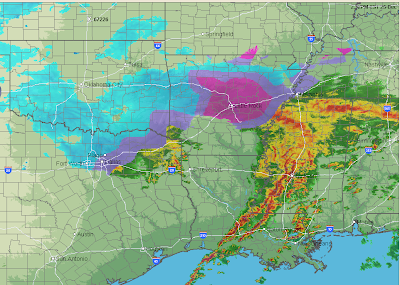 Blizzard conditions continue in Oklahoma and is spreading into the Ozarks. High winds and heavy snow accumulations will make travel hazardous to impossible. The deep purple color is freezing rain which is icing roads. 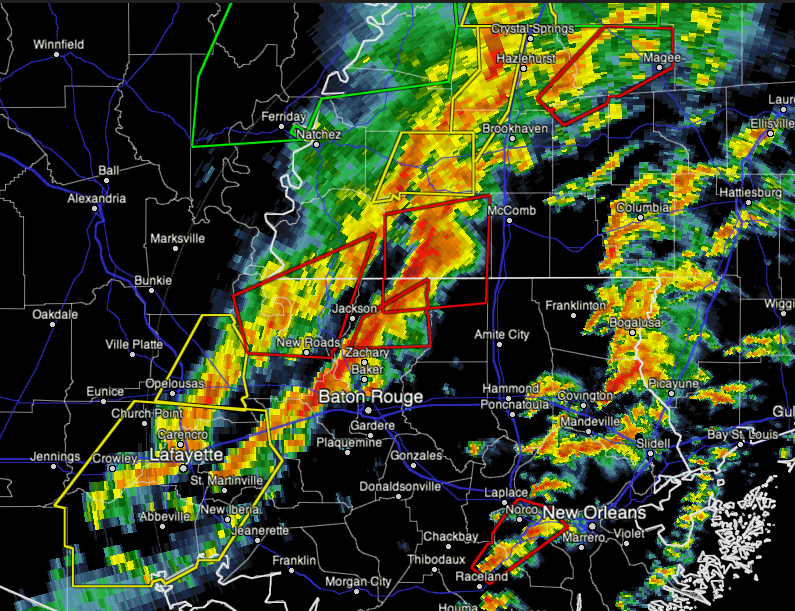 Right now, there are almost more tornado warnings than I can count. The radar is from 2:44pm. A tornado watch will be issued shortly for southeast Alabama and the western Florida panhandle. The particularly dangerous situation tornado watch continues in Louisiana, southern Mississippi and southwest Alabama.